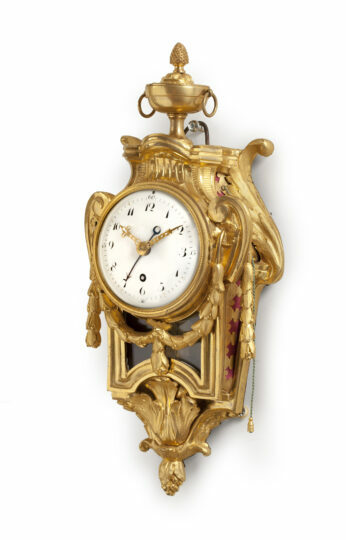 The eight-day, spring-driven brass movement has circular plates and has a going train only with anchor escapement and short silk-suspended pendulum. 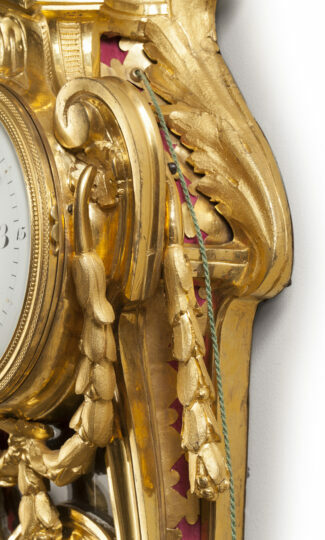 The quarter pull repeat is activated by pulling a chord to the side of the clock. 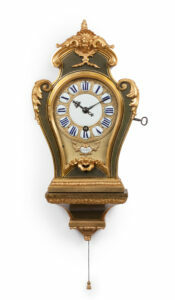 It indicates the hours fully on a bell, followed by the quarter hours with a double stroke. 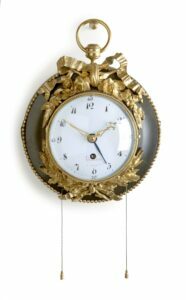 In addition, this bedroom clock has an alarm, which is also activated by pulling a chord, the alarm time being set by the central blued-steel alarm hand on the chapter ring. The circular white-enamelled dial has an Arabic chapter ring with Arabic quarter-hour, five-minute and minute divisions. 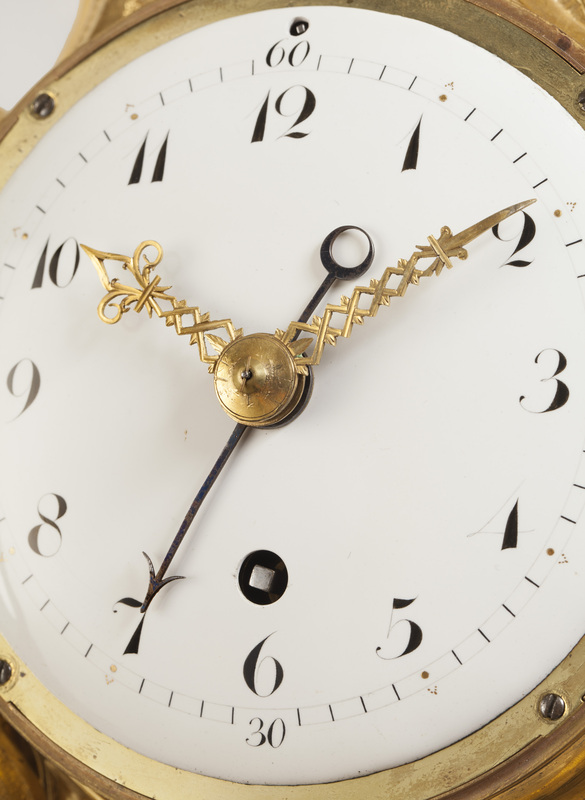 The time is indicated by a pair of period pierced and engraved gilt-brass hands. Above the 60 is a regulation arbor which controls the length of the silk suspension wire. The firegilt bronze case has the typical symmetric shape of the Louis XVI period. 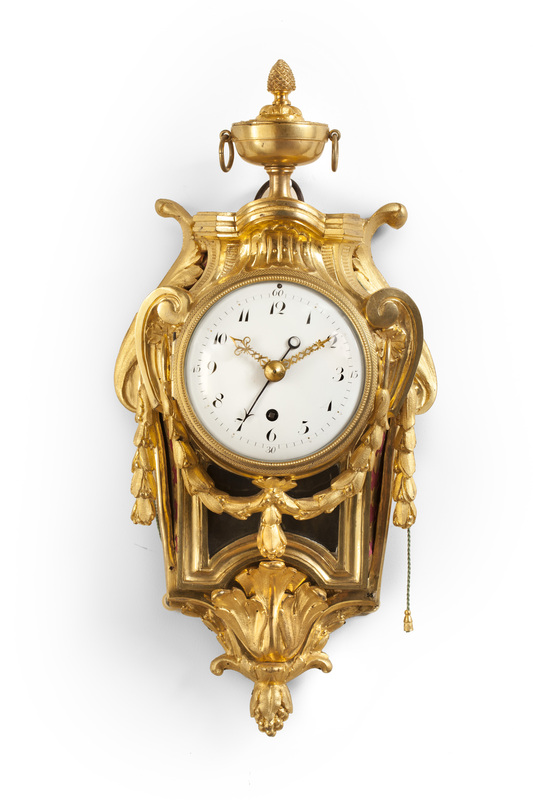 The dial, which is flanked by prominent C-volutes, is protected by a convex glass set in a gilt-brass bezel. 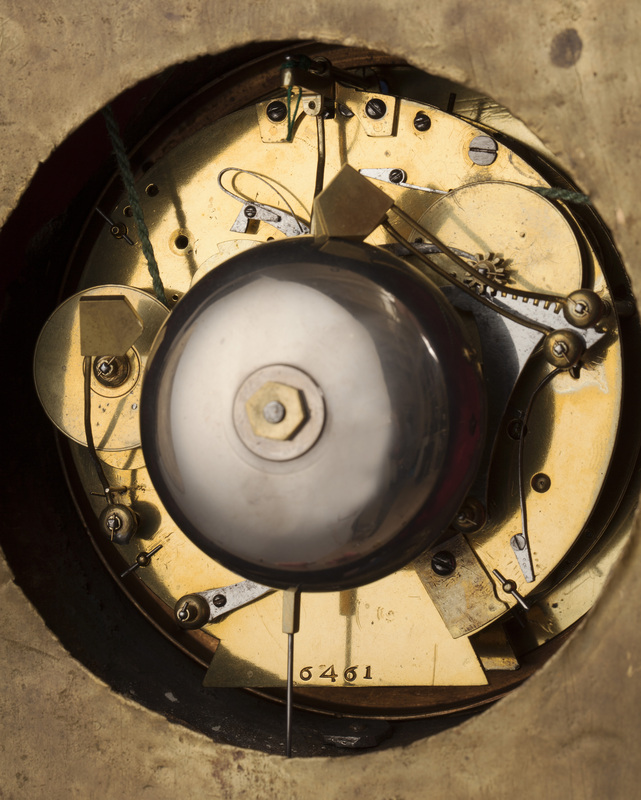 Below the dial is a pendulum aperture, whilst there are sound frets to the sides. 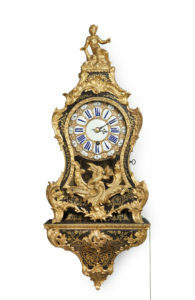 The case is embellished by scroll and leaf motifs, whilst there are laurel swags under the dial and to the sides. The clock is surmounted by a bowl with rings to the sides and a pineapple on top.